The famed U.S. Geological Survey astronomer, Dr. Shoemaker, wanted to be an astronaut but was rejected because of a medical problem. But after he died, his ashes were placed on board the Lunar Prospector spacecraft before NASA crashed the probe into a crater on July 31, 1999, to find out if there’s water on the Moon. Yes folks, your tax dollars at work! Our team The Bell Jars had three tie-breakers with the Misfits for first place at Las Fajitas tonight! We won! Thanks to Hope for onion! And to Brian for the Vatican! We have a good team, all of whom contributed brilliant answers! Paige, Tina, Sue, Carl, Hope, Brian, and Brendan! We have so much fun!! Roger Bannister was the first man to break the 4-minute mile; however, he did not break the 4-minute mile in an actual race. On May 6, 1954, he ran 3:59.4, while being carefully paced by other runners. Bannister’s quarter-mile splits were 57.5 seconds, 60.7, 62.3, and 58.9. But 23 days after Bannister had run the most famous mile of all time, fellow Briton Diane Leather became the first woman to break 5 minutes with a time of 4:59.6 in Birmingham, England, on May 29, 1954. In the 40-plus years since the two British runners broke these significant marks, women’s times have improved by a far higher percentage than men’s. Pop duo Ike and Tina Turner have been inducted into the Rock and Roll Hall of Fame, but Sonny and Cher have not. Pop duo Ike and Tina? POP? Who wrote this? It's no surprise to me that Tina would be in there before Sonny & Cher. OK, Ike, too. I'll get back to blogging eventually. Had a lot on my mind but not much to say. I've been reading yours when I can. See you soon! Happy Father's Day to all you dads out there! I still miss mine, and it's been over 30 years since he died too young at 56. He was a wonderful father, and I'm glad he was mine! It's very interactive around here! Playing, reading, joking, and all that! How are your weekends? The weekend is going pretty well with Little Bossy Pants. It's always a challenge! I never know what to expect next. We watched Sam's video and couldn't understand what anyone was saying. Brendan said it needed subtitles. We have been to Mother's a while yesterday and today, and then all of us went to Las Fajitas for dinner. That's where we play Trivia on Tuesday nights. Paige and I have gone the last four weeks. Her daughter Virginia was with us the first week. (3rd place) Then Carl joined us the next time with just the three of us. (3rd place again) Week before last we were joined by my brother Butch, his son Andy, his nephew and my former student Jay, and Tina. (2nd place) Then last week it was just Paige, Carl, Tina and me. We sucked that time. Depends on the questions. It's so much fun, and we're getting to know other groups. Brian, Melissa, and Brendan are planning to join us when they can. Either all three or the two guys. 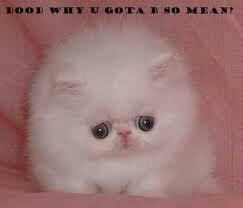 Just so you know, underneath that funny, sweet exterior of Tug's lurks a meanie. Around 11 pm just as I was going to bed, I texted him with what I thought was a funny addition to the napping bunny controversy. Then he proceeded to text this horror story with graphic details about a sadistic neighbor he'd had even though I told him I didn't want to hear it. He was relentless adding gross and horrifying details anyway. Don't ask! I promise you don't want to know it! Now it's etched in my mind, and I can't get to sleep. I'm already tired from not getting enough sleep since I have to get up early for class EVERY DAY and thought I'd get to sleep earlier than usual tonight! Well, that's not happening. 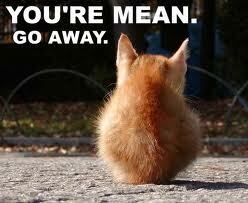 He is so mean!!! So here are some cute kitties to get the message across. And I'm telling on him!! It's helped to vent. I still love him anyway even though this won't make this upcoming weekend with my grandson Little Bossy Pants any easier. Boo!! Hiss!! I don't have much to say lately. Still adjusting to getting up earlier and then I join in the discussion in class. When I get home, I need a nap. Maybe participating in the Fluffy Bunny Good Days Project will bring me energy and much more. Let's hope. He looks dead. Napping, I hope. 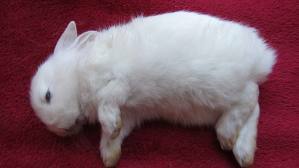 I'm getting freaked out about this rabbit because I think he might really be dead. OMG! I hope not! Leave it to me to think he's just pining for the fjords in "Norwegia" like the parrot. Dogs that do not tolerate small children well are the St. Bernard, the Old English sheepdog, the Alaskan malamute, the bull terrier, and the toy poodle. So now you know what to get your obnoxious nephew as a pet. She can only be seen when the first flowers begin to blossom. She wears tangled multicoloured skirts made of petals and has multicoloured wings like a butterfly. Snapdragon is kind and caring. Get your own unicorn names from The Unicorn Name Generator! How many of you played with the guitar you can play on Google in honor of Les Paul's 96th birthday? 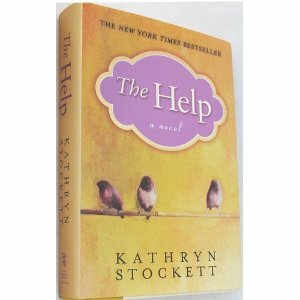 I've been reading The Help on my iPhone and have to say again how much I love that phone!!! I read Jackie's blog post about it HERE and decided to try reading it on the phone. Great experience so far. I grew up in the segregated South and remember the separate restrooms, drinking fountains, waiting rooms, and lives. I also remember when things changed and schools were integrated and transitions made. I can't put this book down. Even though it was written by a white woman, she seems to have captured the essence of the experience. I haven't finished it yet but am basing that on what Jackie wrote. What to me might seem accurate might not to someone non-white who lived through it. Empathy can go pretty far but is no substitute for the reality of experience. Unless someone went through it, too, I don't think anyone really knows what it was like to be pregnant and unmarried in 1963 when the best of all available bad choices was to give my baby away. 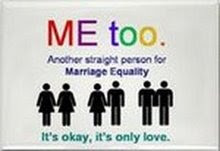 So I don't presume to know how it is to be discriminated against for being gay, black, etc, but do sincerely empathize. Not until Herbert Hoover became U.S. president in 1929 did the U.S. chief executive have a private telephone in his office. The booth in a White House hallway had served as the president’s private phone before one was installed in the Oval Office. Mid-90's all week. And this is just the beginning of summer! No spring. We went from winter to summer. I'm having my own bitchfest!